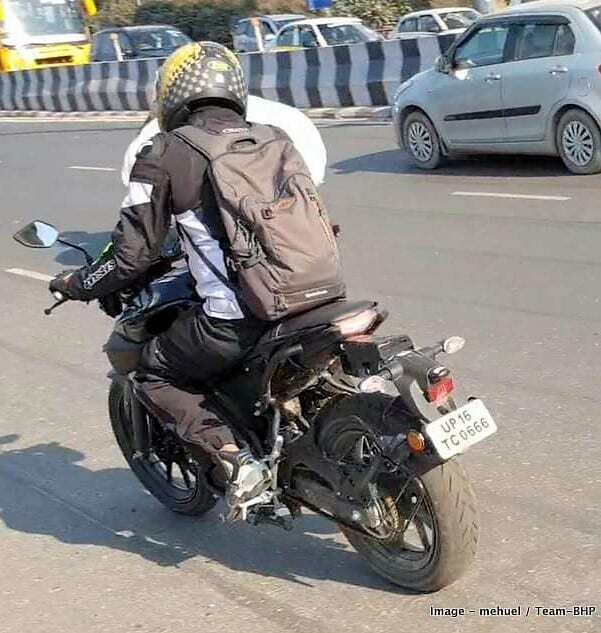 Yamaha MT-15 was recently spied for the first time in India. The bodywork was seen with plain black shade on the test mule, further getting some sort of matt finish on the extended tank section. It must have been used to hide the motorcycle name or even the exact design for the production version. 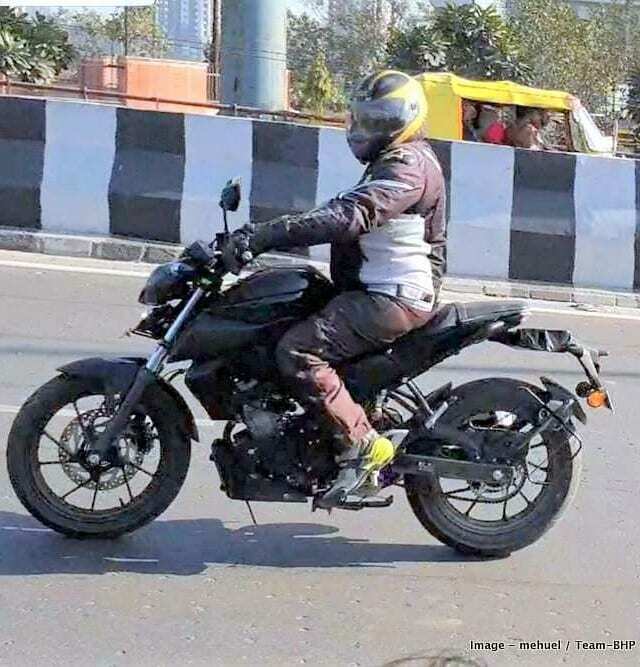 Ideally, the recently spotted India-spec MT-15 is an R15 V3 without its fairing and a number of other changes that add comfort to an average rider’s commute. The handlebar is raised and foot position seems slightly sporty in comparison to regular streetfighters, resulting in an upright position for the rider. 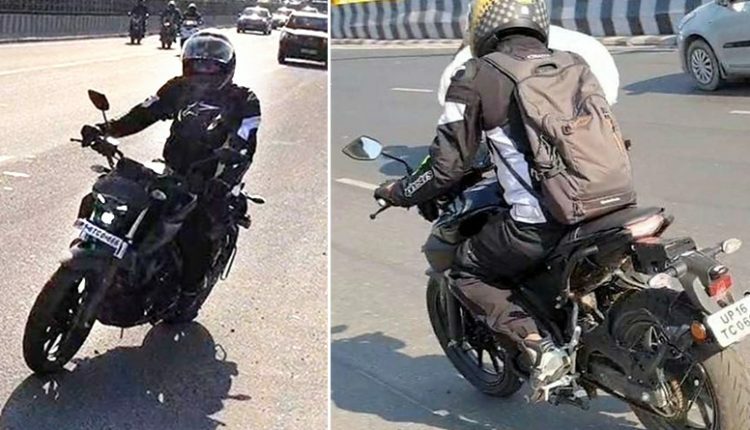 As with the R15 V3, this typical MT-15 is seen with conventional telescopic forks with limited travel, identical alloy wheel design with familiar tires and braking system, India-spec footpegs for the pillion, engine dirt protector and a digital flat console. The headlight looks similar to the international-spec model with independent projector under the face and heavy plastic section that forms the complete headlight cluster. 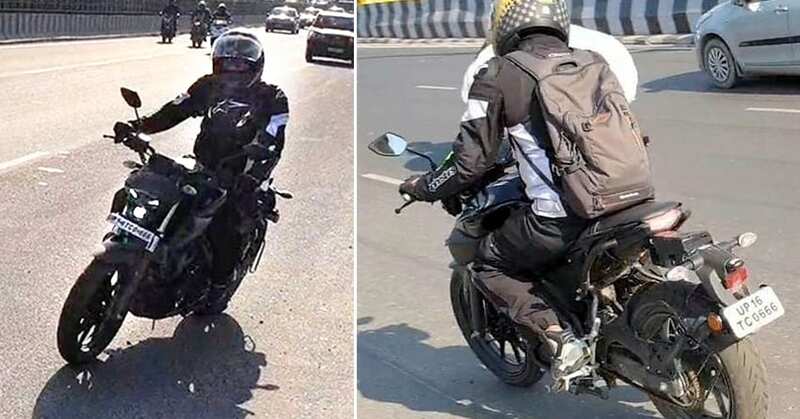 The seat section is shorter than ever, clearing the fact that MT-15 is a Duke rival with extra sporty bits and the upcoming FZ V3 is more like a comfort-packed street machine. 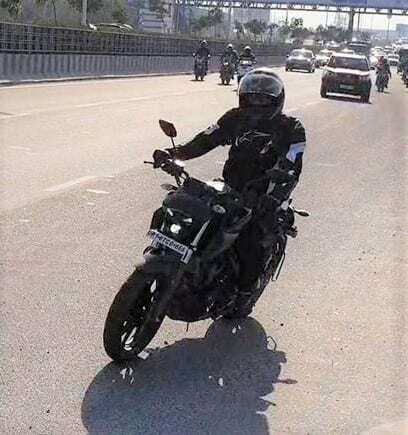 The price difference between FZ V3 and MT-15 will stay around INR 25,000 in India. Another interesting fact for the India-spec Yamaha MT-15 is the use of grab-rails in exchange of the wings seen on the international model. 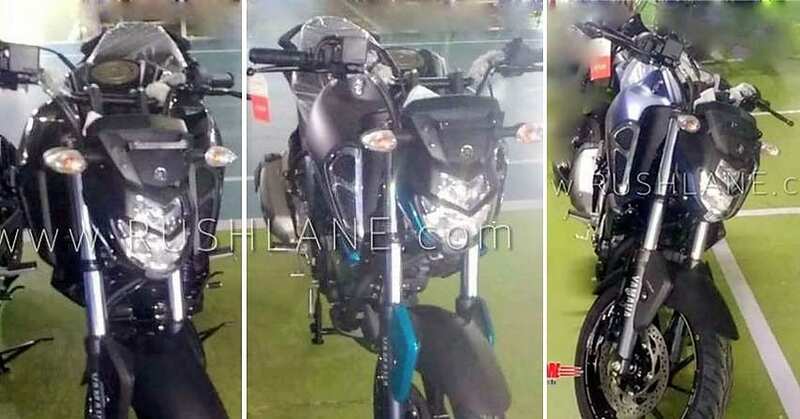 Also, Yamaha is seen cutting some cost from the motorcycle by changing the swingarm from the aluminium unit of the R15 V3 to the steel ones from the FZ series. The disc brakes on all Yamaha models are 282mm for the front and 220mm for the rear. MT-15 is expected to use dual-channel ABS while all FZ models could feature single-channel unit for saving some cost.